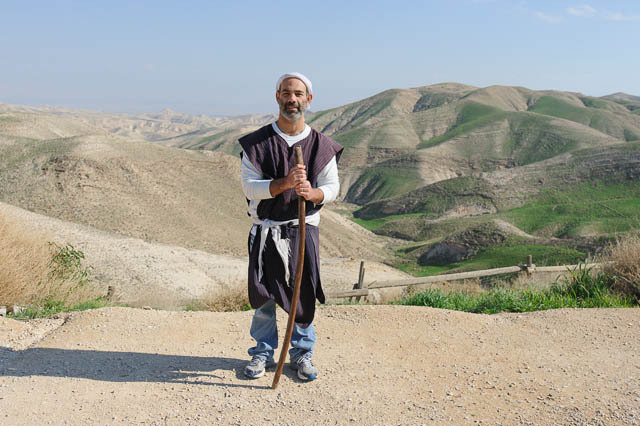 Abraham’s tent is located at Genesis Land in the Judean desert, close to Jerusalem. Abraham and his servant Eliezer welcome their guests in a Bedouin tent (yes, you could call Abraham a Bedouin, he certainly led a nomadic life). We reach the tent riding on a camel while enjoying the breathtaking view of the Judean desert. Once at the tent we are served dried fruits, self-made pita bread, tea, and coffee. At the same time Abraham and his servant revive the Biblical story in a most entertaining way. Genesis Land is suitable for families and groups, old and young alike. In addition to Jewish hospitality, Genesis Land also offers camping in the desert, including clean bathroom facilities. Those who are looking for gifts and souvenirs will find a nice assortment of handcrafted pottery, jewellery, carpets, and much more at the local Gift Shop.